Home of CyGoose IT and Your Internet & Business Needs! Business Class IT Services and Supporting Your Desktops/Networks/Servers! Top VoIP IP Phones w/ No Extra Costs and Full Featured Unlimited Support! 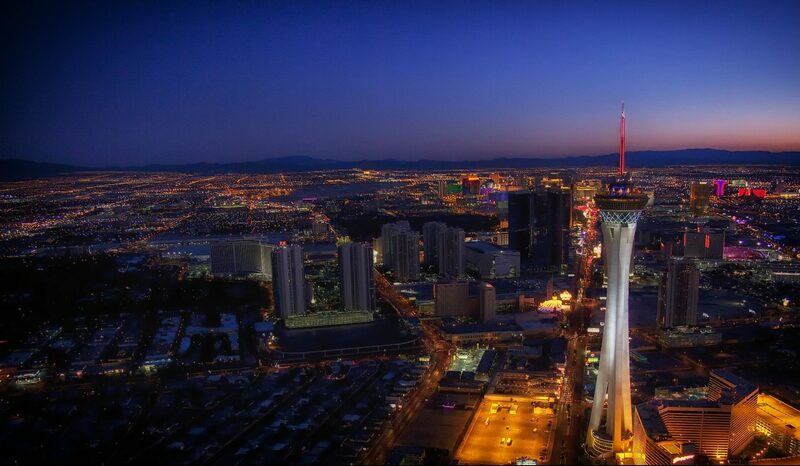 Disrupting the Las Vegas Managed IT Services and VoIP Market! At CyGoose IT, we provide IT Services and a NextGen software technology that automates most of the repetitive tasks and procedures performed by IT Support in todays industry cutting the operating costs of up to 85% That makes us significantly competitive and able to reduce the operating costs of your existing IT Service provider and/or your business! We can work with your existing service provider or replace them, the choice is yours! We cannot ‘automate relationship’ this we handle with care and we encourage businesses to maintain their relationships if possible. Call us now if you’re interested in more! We are proud to offer FREE Online Cyber Security Awareness Training, have your staff complete our online training. Don’t forget! your first service call or service hour is Free with any of our Membership/Subscription packages! In Nevada, Las Vegas Businesses are faced with a difficult decision when it comes to computer support! Fork up the $199/hour or per visit or stick with an unresolved issue, slow pc and an unprotected computer! No more! with CyGoose IT You’re Covered! Businesses continue to turn to Las Vegas IT Services by switching to managed IT and VoIP Services. Managing a business is tough these days but Las Vegas IT Services include managed IT Services, managed VoIP services, Las Vegas IT Consulting Services and Las Vegas IT Security Services. Contact us for more info. Our Managed IT Services is currently based in Las Vegas since 2015. We provide VoIP phone IT service and unlimited support bundles with NextGen remote maintenance, monitoring and onsite assistance. Our prices are a fixed subscription cost for support to accommodate our subscription model allowing local Las Vegas businesses to receive more than just break-fix IT support. Benefits include, VoIP, computer repair, computer maintenance, network monitoring, security updates, IT Consulting, IT Security and most of all, our services come at the same rate based on your fleet size. No more high invoices filled with bulk hours with high hourly rates. Due to many huge vendors like AT&T Internet services with impressive bundles and packages, we see a huge opportunity in the Las Vegas IT service market. We will help your company access the existing flexible internet and VoIP options and offer you competitive pricing, no contract opportunities and more. We enjoy washing away the old ideals that IT professionals are just too costly,. Opportunity to show you cost savings and improvements in every complimentary consultation. Our cost savings opportunities help in many ways such as creating a budget for new equipment or subscriptions. In addition, CyGoose IT LLC is local to Las Vegas, NV and provides local businesses professional IT Services. We are certainly a resource for your small-medium sized businesses. Our support model scales down the Enterprise I.T. Practices from Fortune 100 Companies to any office. While also providing very competitive ProActive & ReActive Service Subscriptions Plans. Have Questions? Contact us for an in-person or over the phone consultation and Let’s get started today! CYGOOSE Broadband and VoIP Services w/ SoftPhones on Go! ✓ Faster than AT&T UVERSE DSL, CenturyLink and Comcast Xfinity 505! ✓ Layers of CyberSecurity Protection Included No Cost! Leading Las Vegas VoIP Services in innovation and competitive price points, CyGoose voice services put business voip phones in a better place… the cloud. With cost savings of up to 70% using our voice services we know your bottom-line will appreciate the service and added features. Our SoftPhones are trending and allowing CYGOOSE IT to bring you the savings, look for upto $5/mo in service savings going with SoftPhone, ask us about softphones. Are you a Small/Medium or Start-Up Business looking for Assistance? Our Program is offering disruptive pricing affordable and competitive to any leading service support in the Valley. Subscribing to our Services offers you free virus removal and discounted hourly rates. In addition, our subscription services offer you automated maintenance and computer optimization so that your machine can run at its best. We know your pain points and we are here to help you save $$ and add value to your business and customers. Contact us today, we have worked with Private Schools, Churches, Non-Profits, Small Businesses, Financial Institutes, Health and Wellness Services, Property Management, Call Centers and Legal Organizations. We Save upto 80% on your IT Services by streamlining common issues for a low monthly costs from upto 70% on your phone bills(average 33% savings). Don’t wait any longer, it costs you nothing to ask us what your options are, take a look at our prices below. We are excited to offer these services to the valley. Physical Desk Phones requires more support and installation methods. Includes SoftPhones and 1 Free eFax per organization or(WAN IP) at no extra charge so you can take your office calls on the Go! Call Us Now! Stop Waiting! Are you a Call Center? Try our CyGoose Dialer, a cloud hosted auto-dialer for your call center needs! Ask for our 7-day free trial! We Save upto 80% on your IT Services by streamlining common issues for a low monthly costs of upto 70% off on your phone bills(average 33% savings). Without Subscription Our Hourly Rates are much like every one else, the savings occur on the subscriptions. $125/hr on-site and $85/hr remote with 2 hour minimums for same day service, we offer this but you are missing out on savings and value. We are excited to provide you with our scalable memberships for your equipment, no matter how small or large your organization we grow with you! Stop Looking for IT Services and Phones for Your Business and Save$$ today! 80% on your IT Services by streamlining common issues for a low monthly costs from $16.99/mo and up to 70% on your phone bills(average 33% savings). Without Subscription Our Hourly Rates are much like every one else, the savings occur on the subscriptions. **Soft phones are iPhone/Android/Windows/Mac Computer Apps that Behave the Same as an Office phone with full features from Digital Receptionists and more..
Includes Soft Phones and 1 Free eFax per organization or(WAN IP) at no extra charge so you can take your office calls on the Go!